Washington, DC and New York, NY (January 23, 2018) – Today Fastcase has announced a partnership with Wolters Kluwer Legal & Regulatory U.S. to provide an expanded collection of treatises, handbooks, and other secondary sources to legal researchers through the Fastcase platform. 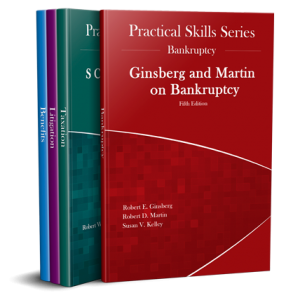 Starting today, Fastcase will include more than 125 titles from Wolters Kluwer, in a broad array of legal specialties such as bankruptcy, construction law, consumer finance, elder law, employment, family law, health law, litigation, insurance, pension and benefits, real estate, and many more. These sources of expert guidance, written by some of the nation’s most trusted authors, will be fully integrated for purchase in the Fastcase system and searchable using Fastcase’s innovative research tools. “Wolters Kluwer publications are premiere resources with market-leading authors, and Fastcase has access to more than 800,000 attorneys, mostly from smaller firms that can be difficult to reach. Our customers continuously ask us for practical guidance, forms, and expert insights. We are thrilled to have the opportunity to provide them such high quality resources and that Wolters Kluwer entrusted us with their publications,” said Steve Errick, Chief Operating Officer of Fastcase. The agreement to provide the Wolters Kluwer content extends a partnership that began when Fastcase purchased legal research provider Loislaw from Wolters Kluwer in 2015, but this agreement includes titles that were not available for sale in Loislaw. In addition, lawyers in firms smaller than 10 lawyers can subscribe to and use the treatises right in the Fastcase application. Firms of 10 or more will still purchase access through Wolters Kluwer. Fastcase users will see the new treatises in search libraries immediately. For more assistance with including the new secondary materials, users can contact customer support at 1-866-77-FASTCASE (866.773.2782). Those without a Fastcase subscription can try the new integration by signing up for a free trial at www.fastcase.com. Wolters Kluwer Legal & Regulatory U.S. is a part of Wolters Kluwer N.V. (AEX: WKL), a global leader in professional information services and solutions for professionals in the health, tax and accounting, risk and compliance, finance and legal sectors. We help our customers make critical decisions every day by providing expert solutions that combine deep domain knowledge with specialized technology and services. For more information about Wolters Kluwer Legal & Regulatory U.S., visit www.WoltersKluwerLR.com.